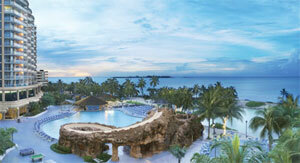 Nassau, Bahamas - Enjoy New Year's Eve with us at the Wyndham Nassau Resort in Cable Beach. Enjoy your choice of sumptuous Appetizers, Salads, Entrees, Desserts including a glass of Champagne. NASSAU, Bahamas – The Cable Beach Resort Association (CBRA) announced today the completion of the installation of a comprehensive Closed Circuit Television (CCTV) system, including high-tech security cameras, along the entire Cable Beach resort area. The CCTV system was put in place as a private sector initiative to support law enforcement in the prevention of crime in the area. CBRA Chairman, Richard English, stated, “The cameras have been installed across a wide area, with intersecting coverage that will be monitored 24/7 by the local Cable Beach Police Station using a state-of-the-art wireless system, with the CCTV screens in the Police Station to be monitored continuously.” In addition to recording all activity in the coverage area, the system will also serve as a useful tool in solving crimes. Nassau, Bahamas - The Wyndham Nassau Resort in the Bahamas is offering a deal through December 19 for guests who want to swim with the dolphins. Packages start at $191 per room per night and include a dolphin encounter for two adults, daily breakfast for two and a room with a balcony. The dolphin packages requires a minimum three night stay, based on double occupancy. Black-out dates may apply. The Wyndham Nassau Resort on Cable Beach has 559 renovated rooms, nine restaurants and lounges, a casino, oceanfront pool, private lagoon and other facilities. The Wyndham Nassau Resort in the Bahamas is offering a deal through Dec. 19, 2010 for guests who want to swim with the dolphins. For more information, visit wyndhamnassauresort.com or call 877- 999-3223. Nassau, Bahamas - The Baltimore Ravens Cheerleaders conducted their 2011 calendar shoot April 29th to May 9th at various location throughout Nassau and Paradise Island. The cheerleaders squad brought in 30 model/cheerleaders to participate in the shoot. Filming took place at the Bonefish National Park, Clifton Heritage National Park, the ground of Wyndham Nassau Resort , and Ft. Charlotte. Nassau, Bahamas – On Sunday night, April 18, 2010, in the country’s most distinguished concert venue, the Rainforest Theatre staged the opening of the Wyndham Gospel Concert Series complete with master sound, light, and design to all visitors and locals as a premiere showcase by lead recording Bahamian Gospel music artists. A one-off to celebrate the National Children’s Choir’s (20) twenty years of service, this was a chance for more than 100 children between the ages of 5-15, under the direction of Mrs. Bazard, Alfred Dean, and Audrey Wright, along with parents and family to remind the nation why they won the Prague Bronze Award this past March 2010. NASSAU, The Bahamas -- The Bahamas National Children’s Choir will receive a special honour from Wyndham Nassau Resorts and Crystal Palace Casino when they will receive a tribute and head the resort’s 2010 Gospel Concert Series opening performance at the Rainforest Theatre at 7:30 pm, Sunday, April 18, 2010. 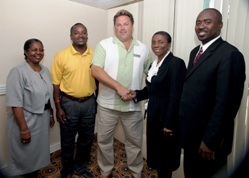 “We are very thrilled to be able to launch this Gospel Concert Series and be able to celebrate at the same time and recognize the Bahamas National Children’s Choir,” Wyndham Nassau Resort Assistant General Manager Mark Hawken said at a press conference at the resort on April 13, 2010.